I had a question about the add.random function you posted on your phytools blog a few weeks ago. 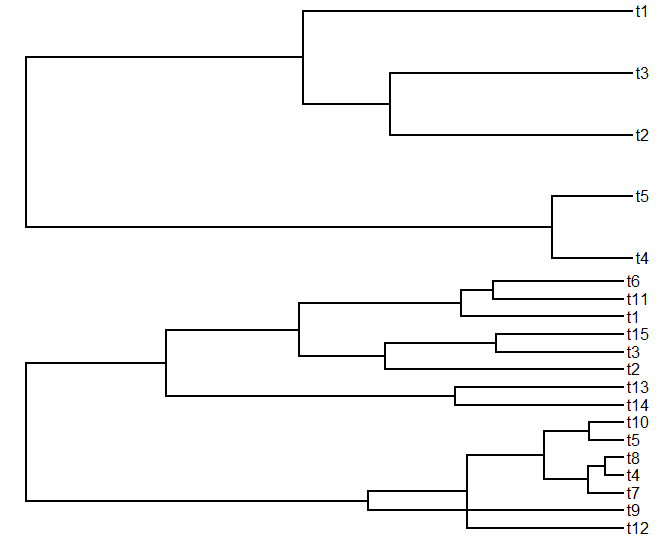 Occasionally when I add a set of tips, the resulting phylogeny plots so that some branches cross. 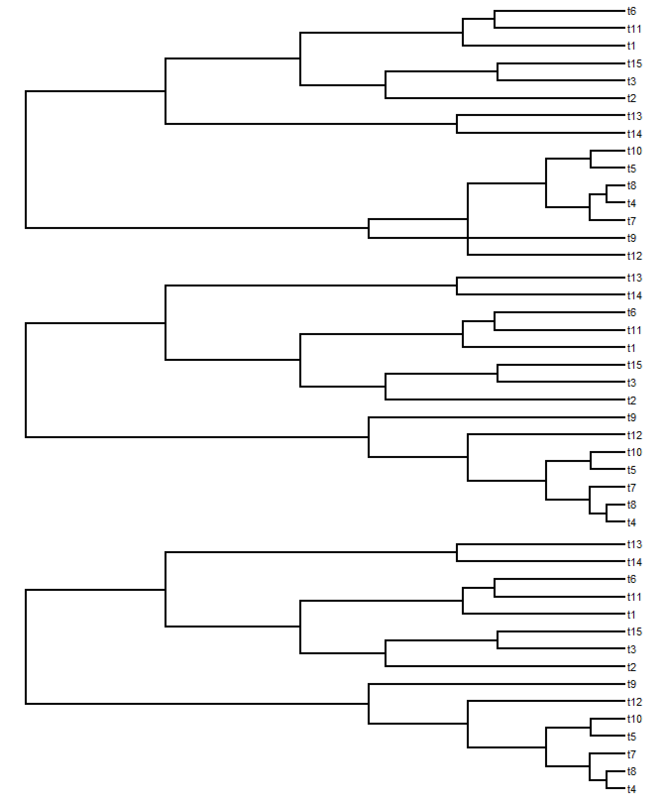 Anecdotally, it seems to happen only (or at least more often) when the number of added tips > number of ‘real’ tips in the tree (but I haven’t looked at this much). The phylo.object seems to function as I’d expect otherwise so it seems to just be a plotting thing, but I don’t know enough about how plot.phylo reads the phylo object to know for sure. Obviously, there is branch crossing here. I'm going to pass the buck a bit here and mention that although add.random calls the phytools function bind.tip (1,2) internally, bind.tip is little more than a thinly coded wrapper for the 'ape' function bind.tree. 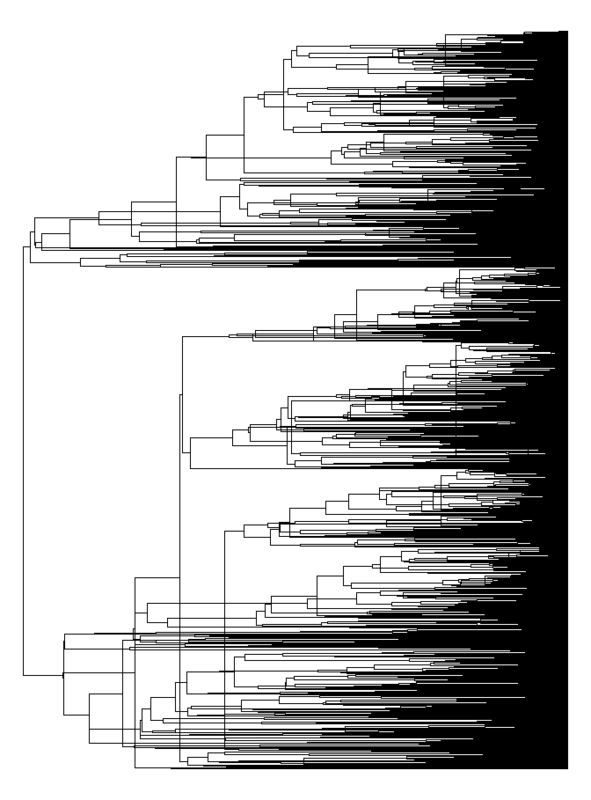 Branch crossing appears to occasionally occur because both plot.phylo (in ape) and plotTree (in phytools) assume a particular ordering for the edges and tips in tree$edge, which sometimes fails to be satisfied when a lot of tips have been added to the tree. 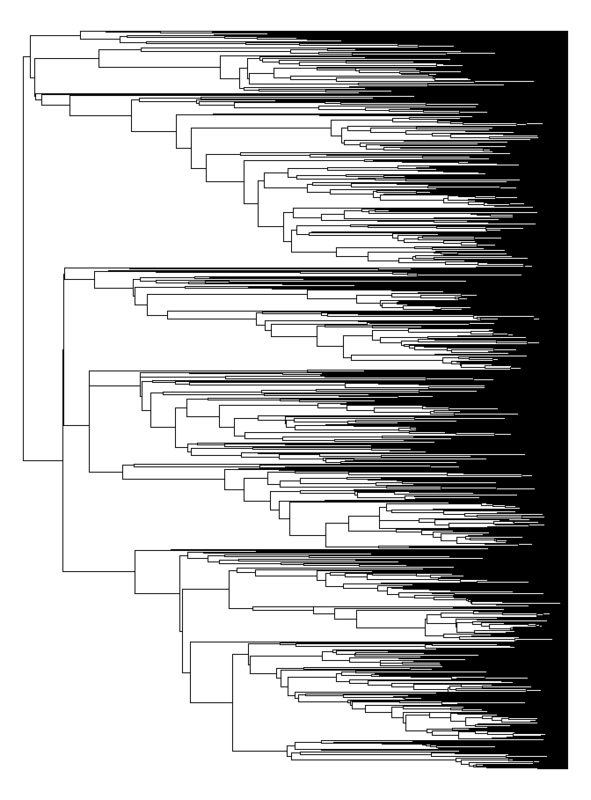 Luckily, this only affects plotting (so far as I know), and none of the other functions of the "phylo" object. > # this takes a while! > # lots of tangles! It's a small difference, but the reorder.phylo method is lightning fast! One important note - users should be aware that the tip & node numbers of our tree change when we untangle it. That's it. I will write a new utility function, untangle, that will do this and also untangle SIMMAP style "phylo" objects. When I get around to that, I'll post it. OK - let me amend my caveat. It seems that for the reorder.phylo method, the node numbers and the order of tip.label is constant; however for the read.tree(write.tree(...)) method, the order and node numbers can change. I can't remember the exact circumstances, but I know I've found instances where reorder.phylo wasn't enough and using the read.tree(write.tree()) trick was necessary. Cool. Yes, I just wrote a utility function that I'll post shortly in which the user can choose either option. One thing that I discovered, though, is that reorder.phylo(...,"cladewise") does not untangle crossing branches even when reorder(reorder(...,"pruningwise"),"cladewise") does.